Tile flooring is one of the oldest materials used, dating back to medieval times, and is still a very popular choice among homeowners today. 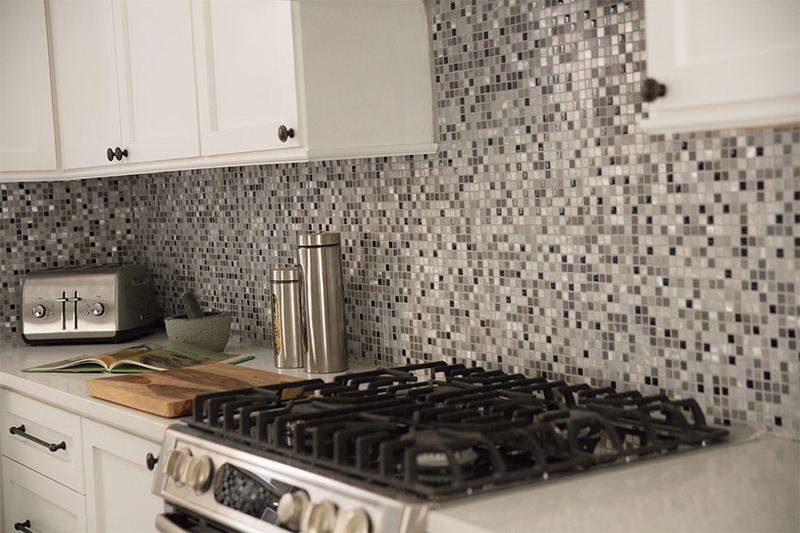 In fact, many homeowners choose tile, because it can meet so many needs. A homeowner with a flare for design will find great enjoyment in the many different sizes, shapes, patterns and colors from which to choose. 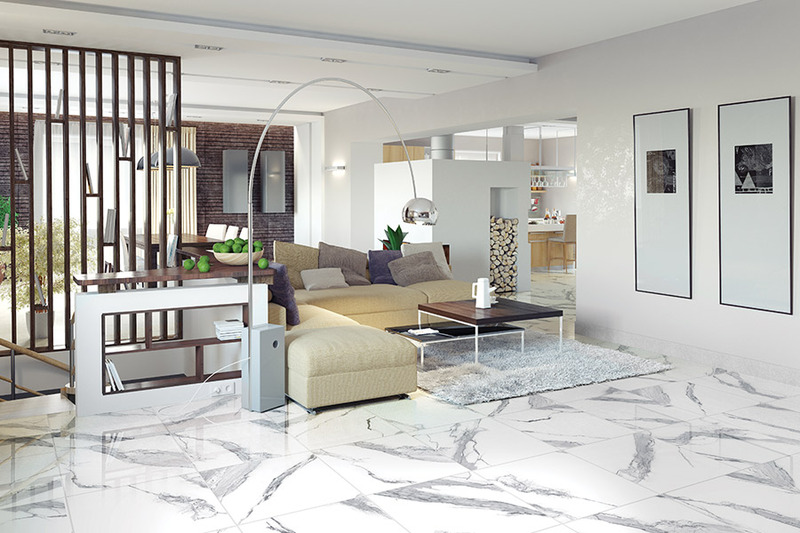 From ordinary to spectacular - your tile floor can truly be a one of a kind. If tile is properly cared for and maintained correctly, it’s likely to last an entire lifetime. 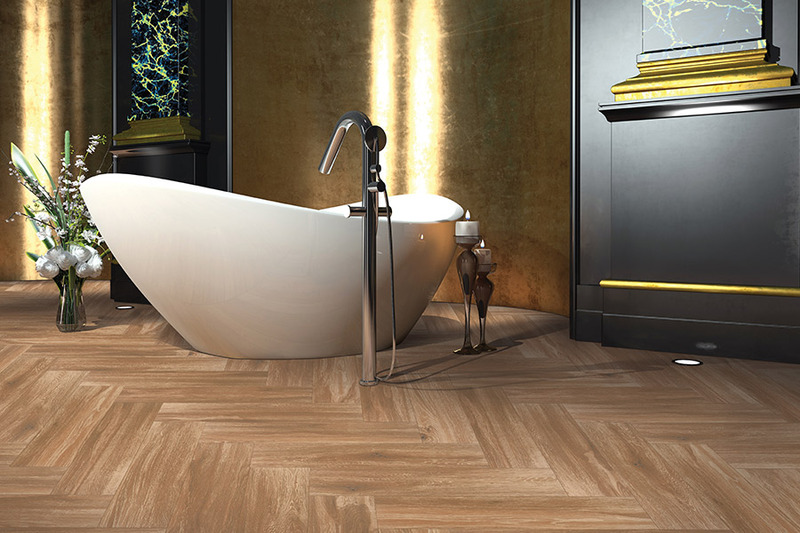 Because of this, it could be the last flooring choice you ever make for your home. First, there are the materials used in making them - porcelain uses a higher quality of clay, while ceramic mixes lower quality clay with other materials and is usually glazed. 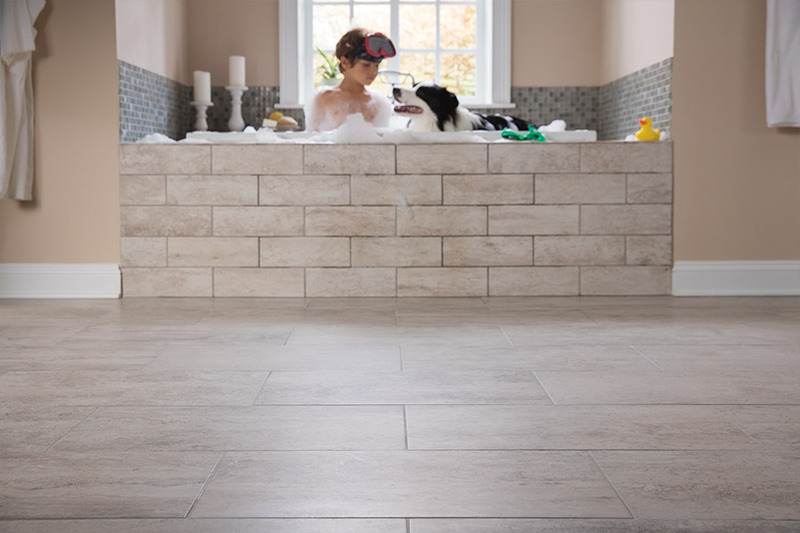 Second, porcelain tile also has a higher water resistance, making it more popular for areas where dampness, humidity and spills might often occur. Natural stone tile consists of slate, marble, granite, travertine and more, and is a great choice for areas where dampness is not an issue. Many homeowners choose this floor covering, because it is durable and has a classic, earthy look that is hard to match. Tile floors makes an excellent addition to nearly any room. If used in high traffic areas, it’s important to make sure you have a tile that is dense, able to withstand traffic and that there is proper slip resistance on the surface of the tile. Most people choose to place tile in kitchens, bathrooms, foyers and even family rooms. Not only is tile a great surface for flooring, it’s also a great design element, since style and color options are so plentiful. At least twice a week, you should sweep or vacuum your tile flooring, because dirt and debris often cause the surface of the tile to become scratched and dull. After this step, you can mop with hot water and mild cleaner. Make sure to change your water often, as dirty water can often leave a residue of film on the tile, as well as pushing dirt into the grout. Christian Flooring proud serves the areas of Rochester, Spencerport, Greece, Webster, and Irondequoit, NY with showrooms located in Greece and Webster, NY. We invite you to stop by either location to speak to a flooring professional with any questions that you might have about tile flooring.